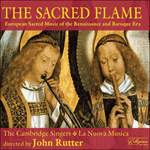 This lovely motet is all too often overlooked in Bach’s sacred output. Despite being recognisably a motet (as that term was understood in eighteenth-century Protestant Germany) and being explicitly described by Bach on its title page as ‘motetto’, it was mistakenly included among his cantatas in the old Bach-Gesellschaft edition, presumably because of its independent instrumental accompaniment. As a result it lay hidden among the 200 or so real cantatas until the Neue Bach Ausgabe put matters right by placing it in their volume of motets. 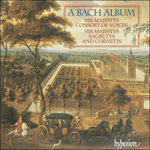 Even now, it is generally omitted from recordings and publications of Bach’s other six motets, for which reason alone it is worth including here. Bach wrote it in 1736 or 1737 for a funeral service in Leipzig. The accompaniment was originally scored for an outdoor group comprising two litui (curved trumpets used at funerals), a cornetto, and three trombones, which suggests processional performance. Only one stanza of the hymn text is given in Bach’s manuscript, but Behm’s hymn (subtitled ‘for the dying’) has fourteen more, enough to accommodate even the longest procession. Ten years later Bach rescored it for indoor use: the litui were retained, woodwind doubled the voice parts ad libitum, and the cornetto and trombone parts were reassigned to strings and continuo. The chorale melody upon which the motet is based comes from a Leipzig hymnal of 1625, As hymnodus sacer. Mendelssohn later used this melody in his oratorio St Paul; his version, with an altered last line, is the one usually found in modern hymnals, under the name Breslau. By all my grievous sin oppressed.